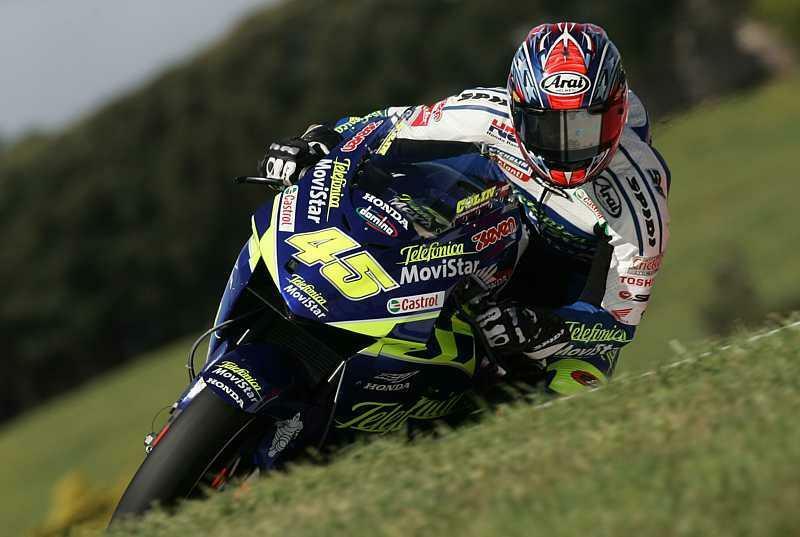 Yamaha announced at the Philip Island GP that Valentino Rossi will have a new team-mate for next year, in the shape of former WSB champ, Colin Edwards. Edwards will move from the Telefonica Honda team to replace current Yamaha factory rider Carlos Checa in the Gauloise/Fortuna sponsored team. Lin Jarvis, Managing Director of Yamaha Motor Racing: “We are delighted to announce the arrival of Colin to our factory MotoGP Team. Colin started his international racing career with Yamaha in our factory World Superbike Team from 1995 to 1997. “Since then he has had a successful career in World Superbike and MotoGP. His return to Yamaha as a professional, experienced and successful racer will surely be an asset to our factory team, and we are expecting great things from him on the YZR-M1. “The arrival of Colin also marks the end of our working partnership with Carlos. We would like to thank Carlos for his many years of dedicated contribution to Yamaha.